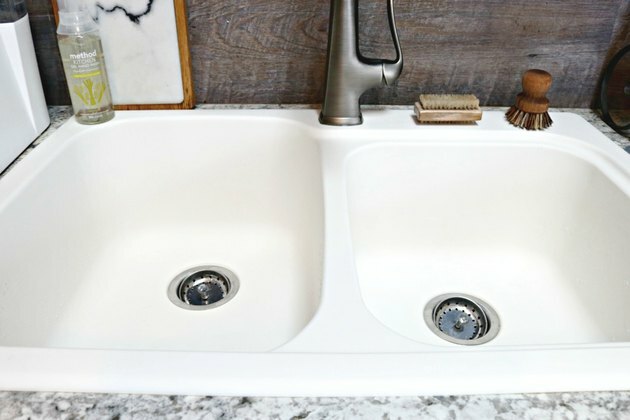 White sinks are very popular in home design, but they stain and scratch very easily. 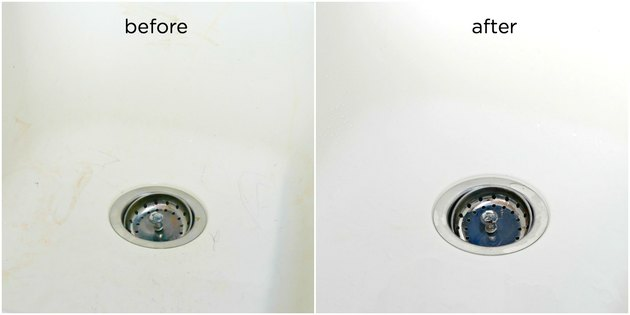 There is a simple and all-natural way to clean a white sink and remove stains too. 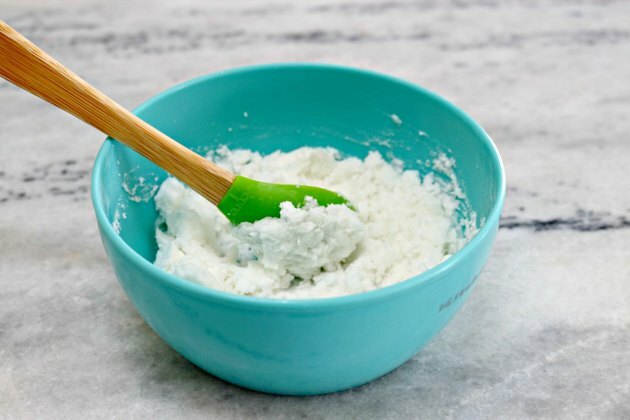 You just need a few ingredients that you may already have in your pantry to get your white sink sparkling clean and scratch free in not time! 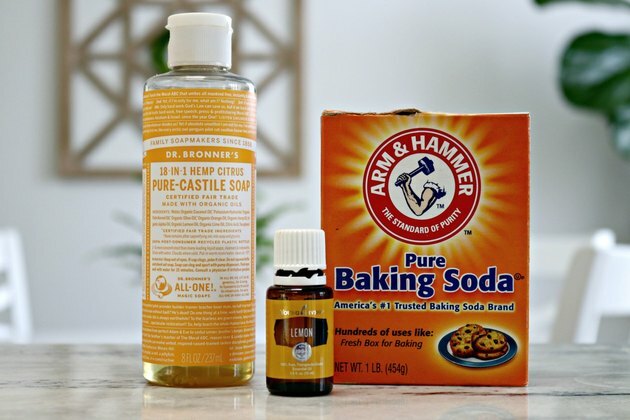 Mix baking soda, Castile soap and essential oils in a small bowl. 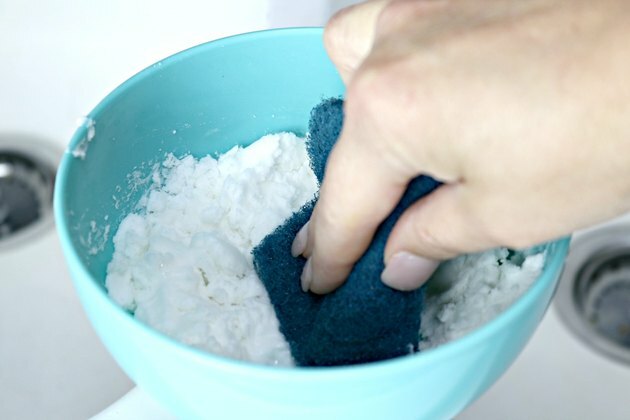 Add some of the DIY sink cleaner to a scrub sponge. 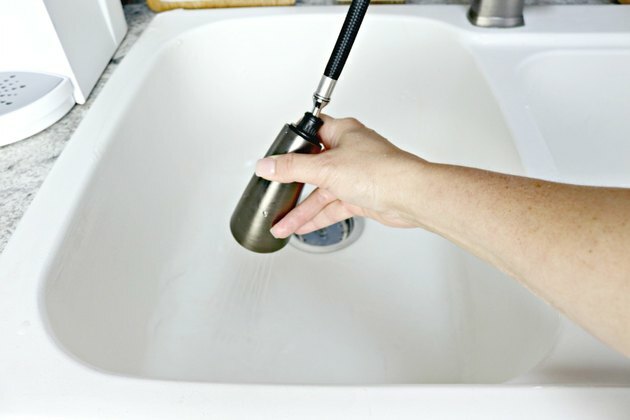 Gently scrub the entire sink. 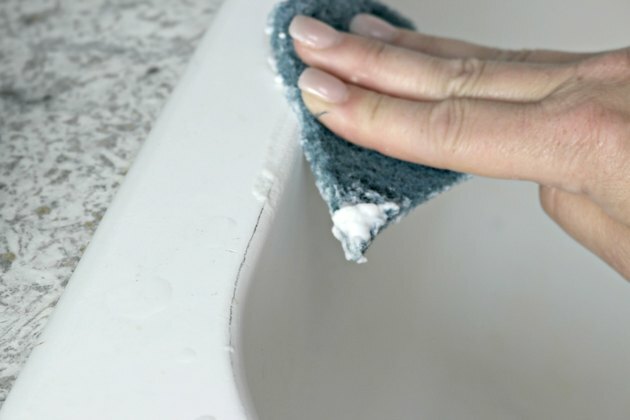 Scrub any scratches or marks left by dishes and pans. 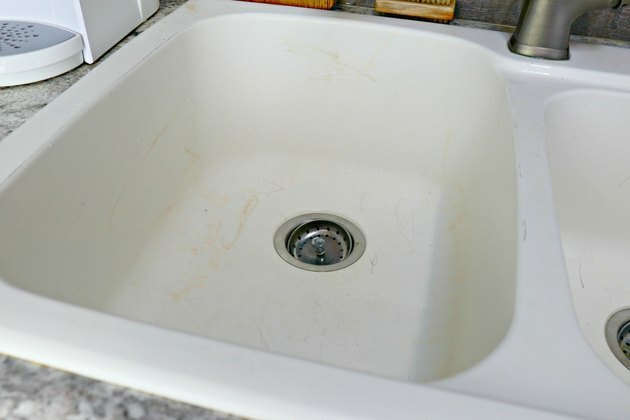 Spaghetti sauce and other tomato based foods can leave stains on white sinks. 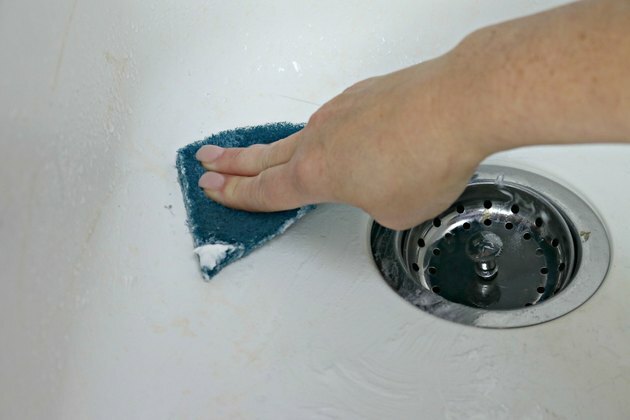 A magic eraser sponge will remove them and other stains as well. All clean and stain free!